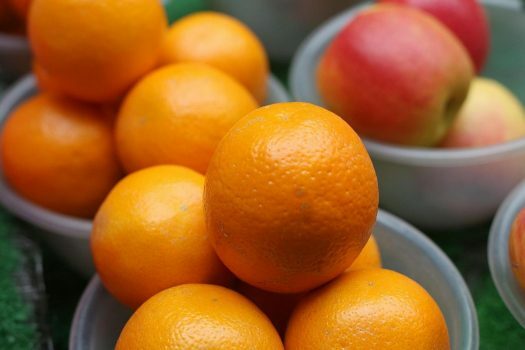 High doses of vitamin C injected into the blood stream could help treat cancer, new research from scientists suggests. Injecting patients with a dose 1,000 times higher than the recommended level could target tumour cells and make radiation and chemotherapy more effective. Scientists gave eleven brain cancer sufferers regular dosages of vitamin C every week for nine months while receiving typical radiotherapy and chemotherapy. Tests showed the extra vitamin – usually found in oranges, green vegetables, broccoli and strawberries – made cancer cells more susceptible to treatment. It also appeared to be safe, producing mild side effects such as frequent bathroom trips and a dry mouth. The research, published in the journal Cancer Cell, showed that iron in the tumours reacted with the vitamin to form destructive “free radical” molecules which selectively caused only cancerous cells to die. The safety study sets the stage for larger Phase II trials investigating whether high-dose vitamin C injections can extend the lifespan of cancer patients.